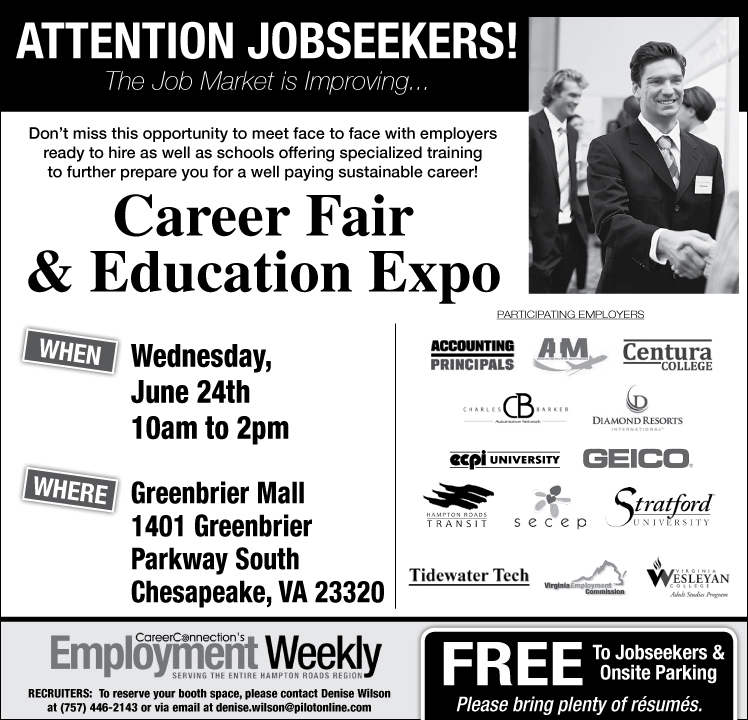 CareerConnection's Employment Weekly brings you the June Career Fair and Education Expo. Don't miss this opportunity to meet face to face with employers ready to hire as well as schools offering specialized training to further prepare you for a well paying sustainable career! Bring your resume and dress for success to meet some of the area's top employers. It is Free to Jobseekers and Free to park.